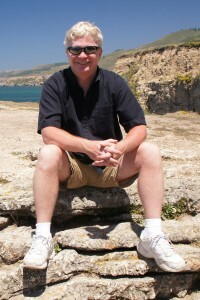 Glenn is an award-winning author, facilitator, photographer, and learning leader. He is Senior Director of Global Learning for KLA-Tencor Corporation and Founder of SMART as Hell. He holds a Bachelors Degree in Electronics Engineering Technology and a Masters in Adult Education and Training. Glenn is co-author of Photo Jolts!, winner of ISPI’s 2014 Award of Excellence in Outstanding Human Performance Communication and he is the only five-time winner of the Facilitation Impact Award, presented by the International Association of Facilitators. KLA-Tencor is a charter member of TRAINING Magazine’s “Top 10 Hall of Fame” learning companies. With extensive experience in Customer Service and Global Operations, Glenn lived in Japan and Singapore for more than 10 years. Called the ‘Indiana Jones of Corporate Learning’ by one colleague – for his willingness to travel anywhere and explore any problem – Glenn has practical experience and insight into doing business cross-culturally. Our Mission: “Change the World One Goal at a Time”. Our goals are important to us. Your goals are important you – and us. Whether you’re an individual, a non-profit, a university, or a business; your goals – when they are set well and accomplished – will make the world a better place for all of us. The product you design will help or entertain us. The art you make will inspire us. The problem you solve will save time, money, or lives. The service you provide will, well, serve us. We can’t wait to benefit from your ‘big idea’, so SMART as Hell provides the research, skills, and tools you need. We’re here to help you write and realize your goals – no matter how big or small – because they will change our world. Our Vision: “A World Where Every Important Goal is SMART as Hell”. SPECIFIC: The human experience is too varied for vague goals that cause confusion and misalignment. We want to see goals that clarify and align. MEASURABLE: The world is too complicated for goals that can’t define success. We want to see goals that provide a a reliable measurement system and a distinct finish line. AGGRESSIVELY ATTAINABLE: Our capabilities are too great for goals that limit us to incremental gains. We want to see goals that inspire the potential of the human mind and spirit. TIME-BOUND: Life is too short for goals that simply mark a calendar date or imply, “when you get around to it”. We want to see goals that create energy while allowing everyone to benefit from our achievements as soon as possible. We believe that values are an important ingredient in the lifelong success of any person or business. Goals and objectives help you keep score, but alignment with values helps you win the game. There’s nothing we’d rather do than this. There’s no one we’d rather be with than our team and your team. Fun is a core design component in all of our offerings. If that sounds unprofessional to you, we’re not the right partner for you at this time. We use these offerings in our life and work. We believe they are the best available. When we don’t have that passion, we’ll recommend someone else. You might love who we are. You might hate who we are. But you will know who we are. We strive to not be overly tricky, clever, or complicated. We won’t try to fool you. Our lives and our offerings are aligned. The offerings reflect what we have learned in life. Facts change. Truth endures. We search for the truth that lies behind the facts. We’re global, so our offerings are global. Anything less would not be authentic. We lead in the classroom, but we live in the field. If we don’t believe in an idea, we’ll give you the chance to convince us. If you’re willing to give us the same opportunity, together we’ll learn exponentially. We believe it’s a sad day when we don’t learn something new. We believe in confronting issues, problems, challenges, ignorance, prejudice, bias, gaps, rules, laws, models, myths, assumptions, and beliefs – but (here’s the Zen part) with no destructive emotional attachment. 1) We are not strong enough as teachers to help you see our position. 2) We are not strong enough as learners to see your position. We aim for ‘a-ha’ experiences. They rock our world and we think they’ll rock your world as well. Unless we can ‘better the best’, we’ll send you straight to them. We take risks, with a view to fail fast and fail cheap. We admire rebels, nomads, wanderers, adventurers, explorers, and inventors. We believe it’s riskier to not take a risk. We celebrate failures, looking for ‘R.O.M. – Return on mistakes’. We don’t like ‘selling’. We don’t like being ‘sold to’. These values represent our sales technique. We love to team up with passionate learners. Water flows downhill – when you’re ready for our offerings, we’ll be here. The easiest sales technique in the world is fear – and we refuse to use it. Our growth is measured in relationships, experiences, and wisdom before dollars. When we hold true to these values, a natural beauty emerges. Not ‘beautiful vs. ugly’ – last year’s ugly is this year’s beauty, after all. We embrace ‘beautiful’ vs. ‘inauthentic, inorganic, cumbersome, or clever’. We want to engage all your senses. Real stories. Real people. Real research brought to life through examples. We want to know your story. We want to read the next chapter of that story. If we can help you write it – well, that’s cool too. We own everything we do. We sign everything we do. We take the blame and share the credit for the output. We think that’s true of you, too. Like a women’s skirt – solutions should be long enough to cover the subject, but short enough to be interesting. If the above offended you, see “Passion Matters”. We pat backs. We give high fives. We play loud music. You might catch us playing guitar, juggling, drumming on the table, or throwing stuff around. We’re geeks, but we’re kinesthetic geeks. We love research and data, but ultimately, we put it into action. We make things happen.